As part of my #Everyflush campaign with Latina Mom Bloggers and Pull-Ups I was sent some Pull-Ups products. As many of you know potty training Louie has proven to be a tough challenge. We knew that when the box arrived on our door step we needed to make a big deal about it. We pulled out a bright red bag and Louie thought it was Christmas morning. a package of Pull-Up training pants with Disney princesses and Minnie Mouse on them. A soft toddler potty seat with Minnie Mouse. Thanks to Pull-Ups the fun products are not the only thing in my bag of tricks. 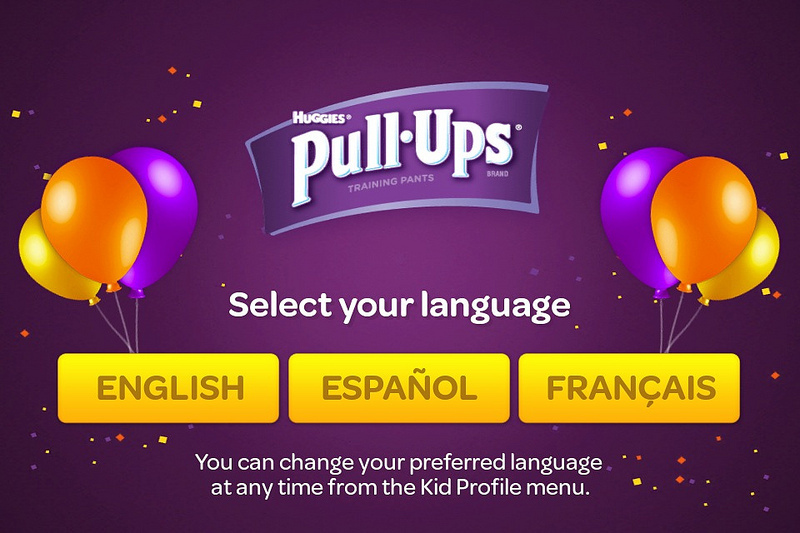 I busted out my iPhone and opened up the Huggies Pull-Ups app. Yes an APP!! This free download has lots of great motivating tools for potty training. I quickly set up a profile for Louie and showed her how every time she uses the potty she gets a gold star. And she can use the gold stars to open and play different games. Louie wasn't sold yet. I set the timer and got a cute message with Minnie Mouse telling us it was time for a potty break. It caught her attention but not enough to want to try the potty again. Then I found my favorite part of the app. You can set it up so that a Disney character will call you phone and talk to your kid. Yes a message for your kid encouraging them to be a "Big Kid!". That did the trick. We had a successful potty break! There was clapping and high-fives. The app even had a little celebration and Louie's favorite part, she got to take a picture with her favorite princess Rapunzel! Louie is far from being potty trained. This one is going to really make us earn that Parent of the Year Award. 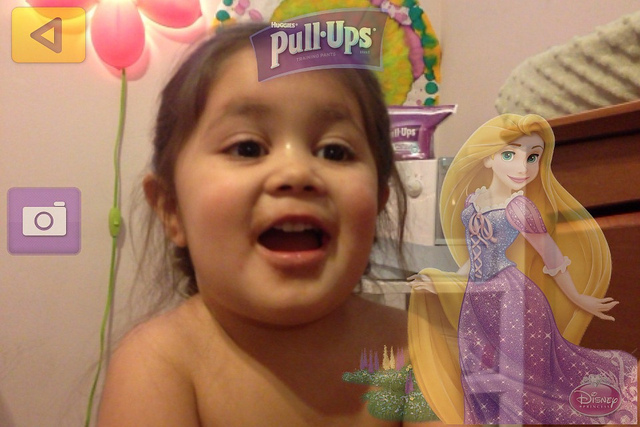 But thanks to Pull-Ups and the app she is more interested in potty training and that is a great step in the right direction. For lots of great tips check out the Pull-Ups Facebook page! 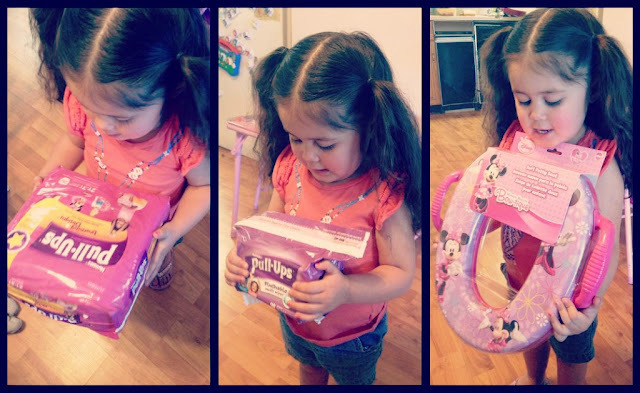 I am giving away a Huggies Pull-Up package just like the one I received! You can enter a second time by "liking" Pull-Ups on Facebook. Just head back here and let me know! 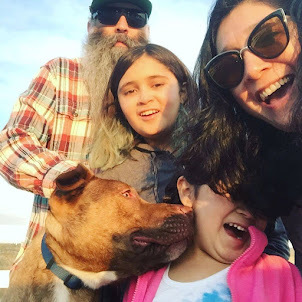 This is part of a compensated campaign with Latina Mom Blogger and Pull Ups. How did you get to participate? How did you get all the free stuff? I think my best potty training tip is don't forget to ask them if they need to go potty throughout the day.